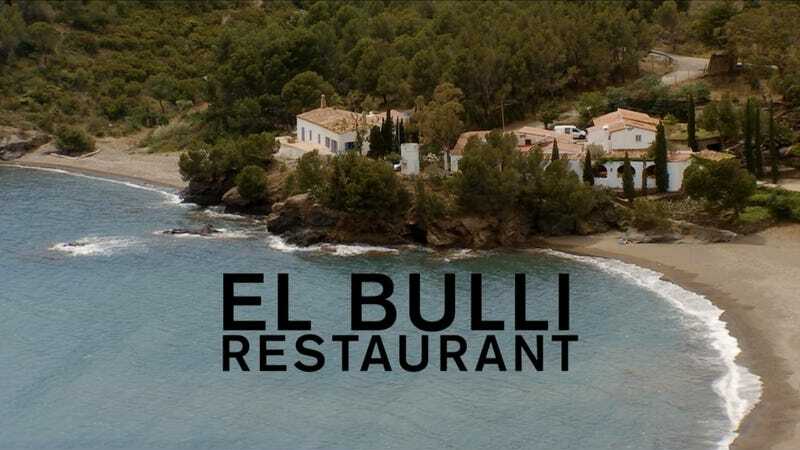 One of the great regrets of my life is that I'll never have the chance to sample a meal at El Bulli, the now-closed Spanish restaurant considered by very many to be the best in the world, where chef Ferran Adrià pushed the frontiers of food. This documentary by Gereon Wetzel will likely be as close as I get to experiencing a meal there. El Bulli: Cooking in Progress is a sort of Behind The Music of a meal. It takes you backstage over the course of a year, into the kitchen where you get to hang out in an intimate setting with Adrià and his staff, even joining them for meals. But largely, it helps you get into Adrià's thought process as he spends six months preparing for the next season, planning everything around just an idea. From the idea, the movie follows chefs through a lab setting and test kitchen to final presentation. It is food-as-science experiment, and although it drags a bit in parts, if you're fascinated by Adrià and the effect he's had on global cuisine, this is a must-see. *And I obviously need to learn a second language.